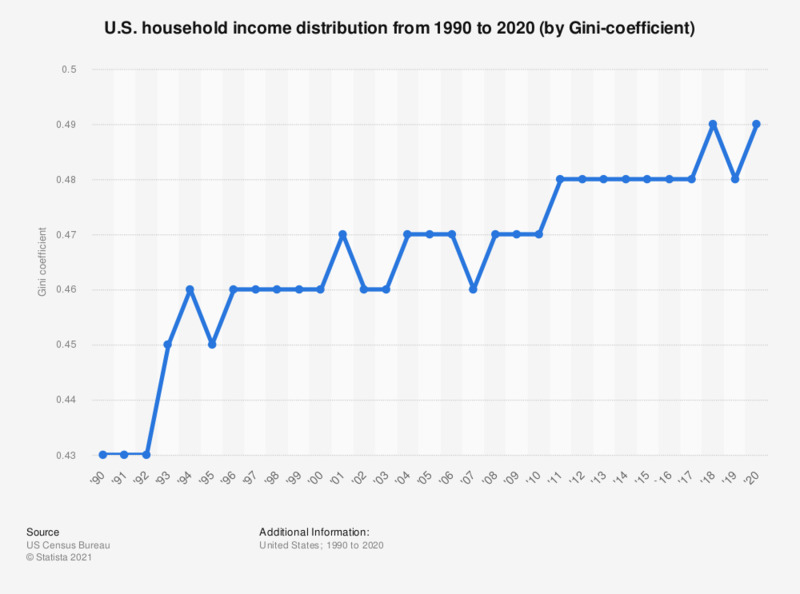 This statistic shows the Gini coefficient, an index for measuring income distribution, for U.S. households from 1990 to 2017. A Gini coefficient of zero expresses perfect equality, where all would have the same income,a Gini coefficient of one expresses maximal inequality among values. In 2017, the Gini coefficient for household income was 0.48. This is an increase since 1990 when the coefficient was 0.43, indicating an increase of income inequality in the United States.